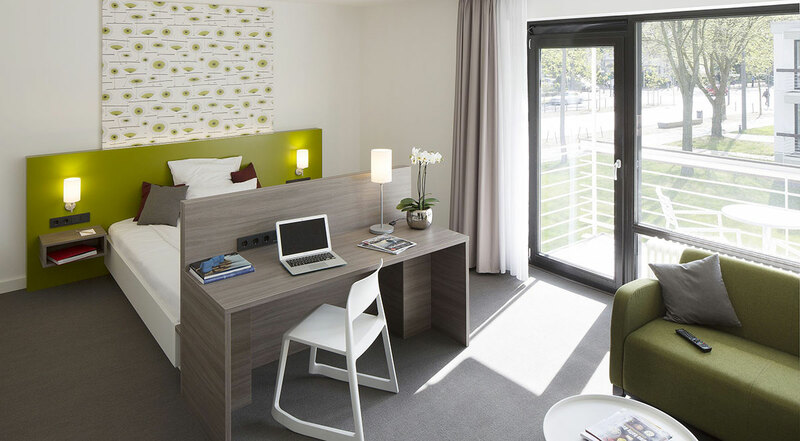 Our "Boarding Haus an der Heussallee" offers 46 modern apartments, all of which have been fitted out to an exceptionally high standard. Every unit has its own kitchenette and balcony. The apartments were used by members of the German Parliament until 1999. The Boarding House in the fully renovated buildings provides its guests with a considerable degree of comfort and unobtrusive service, regardless of whether they are staying for a single night or for several months. 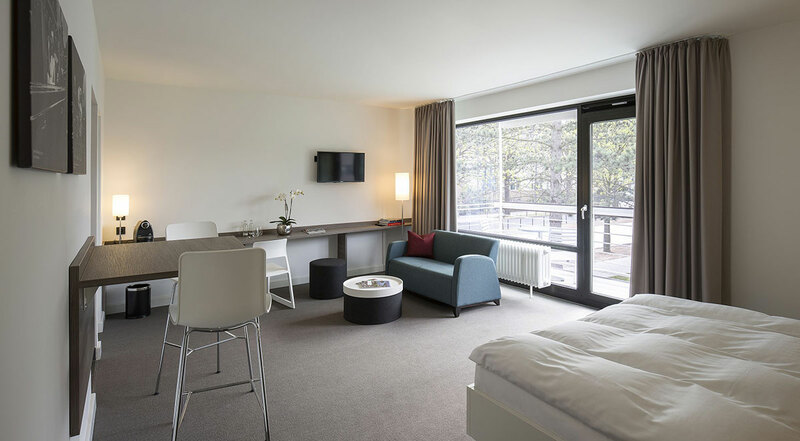 Set within the former Government Quarter, near to the Rhine and directly adjacent to the World Conference Center Bonn, the Boarding House offers excellent transport links. The United Nations Campus, the headquarters of Deutsche Post DHL, Bonn's famous Museummile and many international organisations are to be found within the immediate vicinity. We want you to enjoy your stay with us. For this reason, we offer a diverse range of service modules for you to choose from. This means that you can make yourself at home in our Boarding House and receive the level of service that suits your needs. 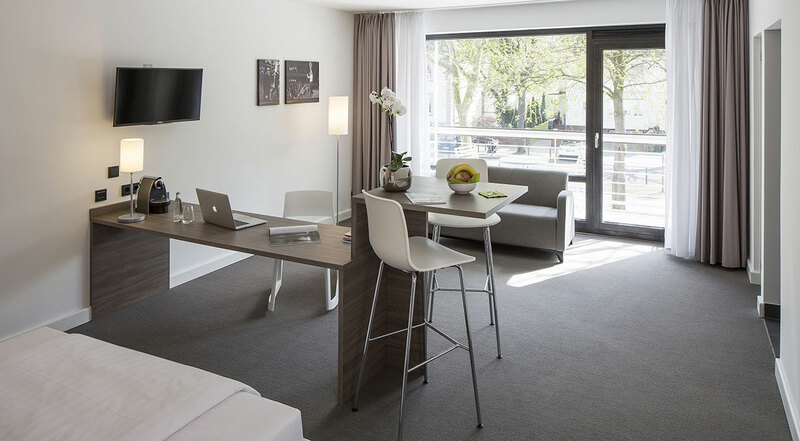 Our "Boarding Haus an der Heussallee" offers comfortable and fully equipped apartments for long-term guests. 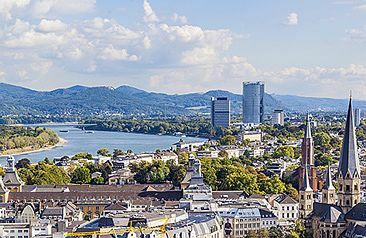 However, we can also guarantee a real feel-good factor for those who may just be passing through, attending a trade fair or simply undertaking a weekend leisure trip to Bonn. Prices may be higher if trade fairs, events or congresses are taking place. Parking charge: 1.50 Euro per started hour. 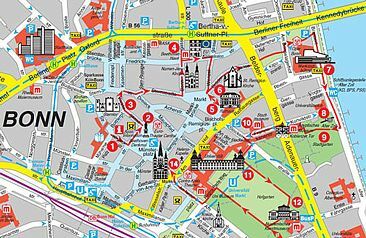 The GreenMobility Platform allows a comparison of different means of transport to the World Conference Center Bonn and to the Boardinghouse. The Romans were quick to discover the benefits of Bonn. This is a colourful city with a history that stretches back for 2,000 years. Much has happened in the meantime, and each century has left its mark. Today, Bonn is home to cutting-edge technologies. It is also a lively university city and a centre of scientific research. Six federal ministries and countless international organisations have headquarters here. 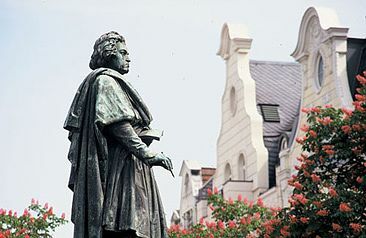 Bonn has been a UNO city since 1996. Numerous United Nations bodies are based at the UNO Campus, which is located within the direct proximity of the Boarding House. For your inquiries, inspection requests or bookings please feel free to contact us. please chose Dr. Prof.Dr. Dipl.Ing. B.Sc. M.Sc.